This post is somewhat of a detour in my journey through what’ve been called The Seven Stars of Hinduism. So the first Star is Brahman-One God. It’s a huge first star and well beyond the scope of human language, even the Sanskrit. However, if any language ever uttered by humans would come closer to adequately describing The Absolute Reality surely Sanskrit lead the pack. I’ve studied a number of languages for a number of reasons and all are delightful and amazing in their own ways. And, truth be told, I’m not even very proficient at Sanskrit. I can probably recognize 50 or fewer words and know only the absolute very basics of its grammar. Having admitted as much, I can say that even with my super limited knowledge of it, Sanskrit continues to impress both my mind and my heart. So there you have it. God’s ultimate-ness in a nutshell…a sonic nutshell. It’s noteworthy that modern physics has determined that everything is a combination of sound and light and the only difference between me and my table and a tree on the other side of the planet is the difference in our qualitative vibratory rates, and of course varying levels of consciousness. God, Brahman, The Absolute… first unmanifest, became manifest with the Big Bang event. Everything else afterward is the result of this holy cosmic sound in action. Which leads into another facet of Hinduism, which is that God is everywhere in everything. This belief, found in Hinduism, is one of the differentiating factors separating it from the Abrahamic faiths which are founded on the basis of a separation from God. Because of this association between Brahman/Om/Creationary Sound this perception of The Absolute(OM) is one of the most potent and peace-instilling prayers a person can utter. It’s always the foundation of any true mantra. The first Star of Hinduism mentioned in the booklet is Brahman. The overview offered of Brahman includes the following: Universal Consciousness/Life Force, Free of attributes or form(aka Nirguna/Nirakar), Sat-Chit-Anand, Many call It, God. As well the overview includes “Ishwara” : Manifestations of Brahman for our need/convenience. The author suggests that Brahman can be imagined somewhat what similar to pure energy: having no form or shape, yet able to manifest itself in many forms or shapes. He claims It’s technically something unable to be perceived by our senses. It’s harder to comprehend and even harder to visualize or worship. Interestingly, It’s can sometimes only be described in negatives. Not matter. Not mind. Not intellect. Not the elements. The only way to describe Brahman is to say, “Neti, Neti” which translates to something like, “Not this, not this.” The idea behind this application of describing Ultimate Divinity in negatives is that any attribute which might be applied will eventually fall short of being an adequate description. Additionally, it might be mentioned that attirbutes are in some cases risky. Being humans, posessing egos and minds, we’re suspect to worshiping the attribute instead of what it describes. Thatte points out that Brahman does not reward or punish individuals. This is noteworthy to say the least. Any conception of God that either rewards or punishes is nothing if not petty and small. Practical Takeaway: There is only one God. Regardless of how and to whom one prays, ultimately the prayers go to the same God. This concept promotes acceptance of all religions as they are just different means of reaching the same God. I think this is actually a really good “Star #1” for a few reasons. It helps clear up a huge misconception about Hinduism, namely that it’s a polytheistic religion. At its core, it isn’t. Also, this approach to explaining some of what Brahman is, allows the author to touch on another very unique and importrant trait of Hinduism: acceptance of other dharmas as equally valid. I mentioned I’d be posting information from a booklet published by a man who once gave the discourse at my temple. The booklet is called The Seven Stars of Hinduism, author’s name is Dileep Thatte. Before jumping into The Stars, he wanders a bit through some foundational information. There is a connection(an homage to?) between the seven stars and the Sapta-rshis of Sanatana Dharma. These correlate to the seven stars found in Ursa Major. Additionally, Dileep covers a few myths concerning Sanatana Dharma. Namely, that Hinduism is fatalistic, that it promotes polytheism, that it requires renunciation, that it’s too confusing, and that it promotes a lack of equality. 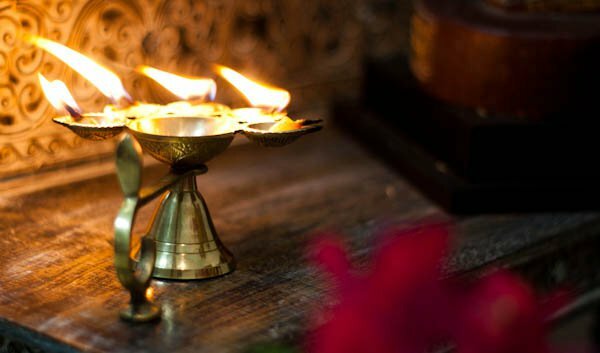 He covers a few other areas like values, goals, and rituals/practices associated with religion and specifically with Hinduism. As the actual basis of the seven stars, he explains the difference between Shruti and Smrti: that which is heard and that which is remembered. Shruti deals with the universal, verifiable and eternal truths. Typically, Smrti originates from a personal founder whereas Shruti is a constant and independent of time, space, and circumstance. In the Hindu tradition, Smrti is always subordinate to Shruti in matters of spirituality. Finally, before diving into explanations on the seven stars, he identifies them. Which is what I’ll do before closing. 1) Brahman, 2) Advaita, 3) Soul/Atman, 4) Karma, 5) Jnana Y0ga, 6) Bhakti Yoga, 7) Karma Yoga. The next post in this sequence will, naturally, be of Star One: Brahman and what Mr Thatte has to say about It. I’ve decided that the next seven posts will have a theme. Some time ago a guest speaker arrived at the temple to deliver our discourse. We have a new speaker each month to give the discourse and this man, a brilliant and educated mind, traveled to spread a word. He, born in India but living in the U.S. for decades already, recognized a need for the worldwisde Hindu diaspora. If one approaches a Christian and asks about their religion, a Christian will quite simply say that Jesus is the only way to salvation. If one approaches a Muslim similarly, the answer, also quite simply, will likely be along the lines of that there is no god but God and Mohammad was his final prophet. With so very many religious paths on our planet, the path’s creed can be super-summarized. Due to the very openness of the structure of Sanatana Dharma this is difficult. So this man has created a booklet which was available at the temple. The booklet is titled, “The Seven Stars of Hinduism” and does about as good a job as any at coming to a super-summary of Hinduism, like the other religions have. 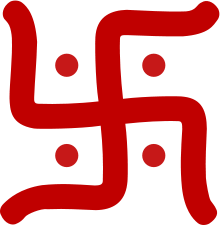 I plan to make the next seven posts here to be about each “star” and have a better study of what it might mean to be a Hindu. Once upon a time there was a boy. In many ways, this boy aged slowly on the outside. Everyone said he passed for…well, sometimes nearly a decade younger than his actual physical age. Slightly ironic considering on the inside, where fewer could see, he was guessed to be much older than his chronological age. The boy worked often and hard at developing his inner landscape. By the time he’d outgrown childhood he was practically a professional at landscaping one’s mind and soul. Still, for all his labor he remained with shortcomings. Deficits he simply struggled to heal- to overcome. One such deficit pertained to his biological family. In many ways, his biological family was no different from most other earth families. Issues here and there sometimes. A few skeletons in the collective closet. And many, many happy occasions which grew into memories cherished. Herein lies something often perceived as a major problem. On one hand, they’re asuric. They’re demons. They wouldn’t be memories if they weren’t indelibly etched in our brain’s tree bark. In the event that the memory is anything other than positive, they potentially become ridiculous, repetitive monsters running around our thoughts with differing levels of frequency. Every time they traipse through our mental garden they tear stuff up, sometimes uprooting other items we had assumed were securely buried. These same monsters can also ruin our energy. They cause certain emotions to recycle and perpetuate instead of resting after being experienced and released. In this way, we’re caused to keep reliving unpleasantries. Then on the other hand memories can be so very angelic. Devata, divine. They can re-animate experiences long gone. Just as in their asuric application, good memories can stir emotions and energies within us. These can remind us that forgiveness isn’t about letting someone off the hook for a misdeed. These can remind us of the power that enables us to overcome. These can be renewing and strengthening. However, it’s possible that whether the memory is asuric or angelic, either way it’s sliced it presents a problem. Memories seem to represent attachment. All learning is based in memory and memory recall. If we don’t somehow attach our selves to information it doesn’t stick(or WE don’t stick to it, rather) and our intelligence never seems to increase. In the same manner, other non-educational memories also require an attachment. This, though, I’m convinced is a worse kind of attachment. For example, I can recall that a certain math equation has a specific result. Generally speaking there won’t be much emotion attached to this. Two plus two will veritably always equal four and unless my childhood teacher whipped me while scorpions stung me as I learned this concept, there isn’t much samskara here. However, any memory that might be associated with family will almost certainly involve emotion-pleasant or unpleasant. Trickier still: unpleasant memories, while they sting like the dickens for sometimes years later, are the kind we’re glad to forget and some science even suggests that, for survival purposes if no other, we’re wired to “forget” these memories out of our consciousness and into our subconsciousness. Good memories, though, we’re likely to invest more effort in. This is to reminisce. The boy mentioned earlier loves to reminisce. He loves to relive the good times with his family…in his head. Remembering “how things used to be” somehow is comforting and offers a template for the modern day. Remembering in this way, though, also creates a desire for the way things used to be. And now there’s a yearning. A hunger. The boy finds himself bargaining with The Cosmos to return to how things were. And so I’ve come to a conclusion.